Dear john letter to Kindle. I'm so sorry, darling, but I've found something new that offers me so much more and I can't resist it. 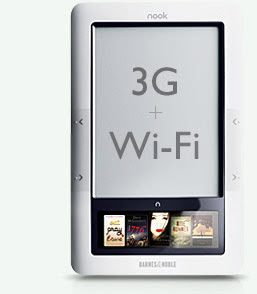 What sold me on the Barnes and Noble Nook: AT&T's 3G Network and Wi-Fi enabled ereader -- Can't, can't stand Sprint. Plus the color touch screen -- cool! Other cool features - ability to download thousands of free ebooks from google and read up to 10 days before having to recharge the battery. After mulling it over for a couple days and discussing it with Father, pre ordered the Nook. It is set to be released on November 30th. It will either be a late birthday or early christmas present to myself. During BBAW I won the Reading and Writing Bundle from Harper Collins and I received the books on Friday. Very cool selection. Don't Know Much About Literature * by Kenneth C. Davis. 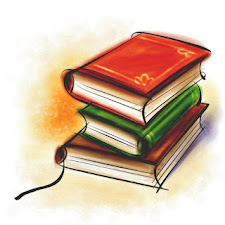 Lots of interesting facts about great books and their authors. How to Read Literature Like a Professor * by Thomas C. Foster. A guide to reading between the lines and finding out what the author meant or what something symbolized. A Novel in a Year * by Louise Doughty. 52 chapters of practical advice from start to end. 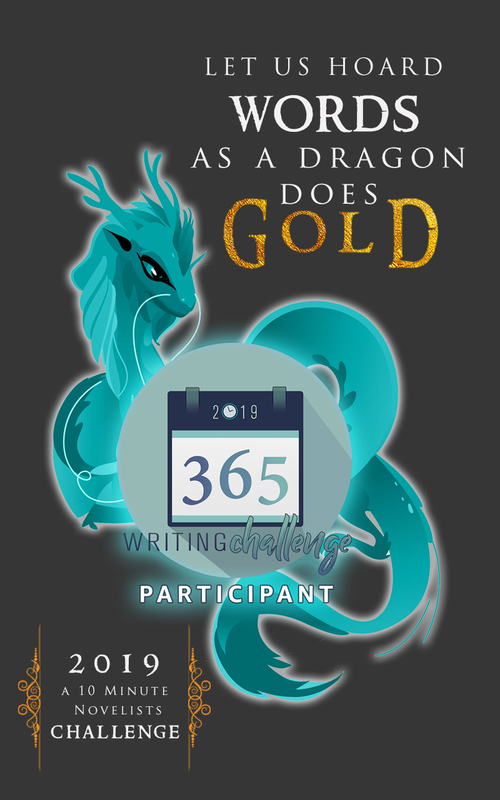 Great timing since just about to start writing a new story. Reading Like a Writer * by Francine Prose. Using examples from the great books, the author teaches how a close reading will teach you to not only be a better reader, but a better writer. You've Got to Read This Book * by Jack Canfield and Gay Hendricks. 55 Celebrities, authors, singers, etc talk about the book that changed their lives. All very neat books and I look forward to reading them. A big thank you to Harper Collins for sending them to me. I'm currently reading Night Watch by Sergei Lukyanenko. Very interesting and the last of the books I had decided to read for the Spooktacular month of October. I finished "Frankenstein" by Mary Shelley and "From a Whisper to a Scream" by Charles DeLint. Also "Hush Hush" by Becca Fitzpatrick. All very good books and will be reviewing them sometime this week. I would be remiss if I didn't mention Dewey's Read-a-Thon. Even though I was just a cheerleader this year, I enjoyed the event and had fun cheering on the readers. A big cheer and thank you to the organizers who hosted the event: Eva, Nymeth, Hannah and Trish. They really worked hard and deserve a big round of applause - imagine virtual applause. Also the readers who put their heart and souls into reading and the cheerleaders who urge them on. * note: links are not amazon associate links. I'm so excited for your birthday/Christmas present! Can't wait to hear what you think about it!! The Read-A-Thon was a blast!! What a great list of BBAW wins. They seem perfect for you! I'm eying up that Nook too, but won't be buying anything new until 2010. I believe it also works with the library. OOoh, those books sound fantastic! ^-^ And enjoy your new nook when it arrives! I wish you hadn't said "just" a cheerleader. Your cheer to me and others meant a lot. Thank you for doing that. I can't believe you won a gift that is so suited to you. A couple are of interest to me too = You've Got to Read This Book. I was in B & N and got all the info on the Nook. I'm very interested. We'll see.